UPSC Indian Forest Service Examination is commonly known as UPSC IFS Exam. It is combined competitive exam held all over India by Union Public Service Commission during the month of July. The eligibility criteria as prescribed in UPSC past notification is given below. But if there is any change or amendments, you have to read the new notification regarding eligibility criteria for UPSC IFS Exam. 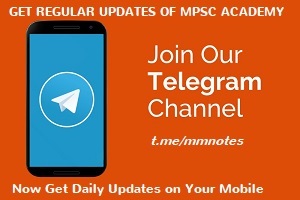 There are various eligibility conditions mentioned in the official notification like age limit, minimum education qualification, number of attempts and physical standards etc. Age Limit: 21 to 30 years as on 1st July of the relevant year. The upper age limit relaxation will also be applicable as per the Government reservation rules. Minimum Education Qualification: Degree from recognized University. But degree must be cleared with one of the subjects named Animal Husbandry, Physics, Statistics and Zoology, Agriculture, Forestry, Engineering etc. Number of Attempts: The candidates who belong to general categories only have 6 attempts to apply for IFS exam. The schedules caste’s category have unlimited attempts to apply. OBC candidates can apply only for 9 times. (as per the new notification 2015). 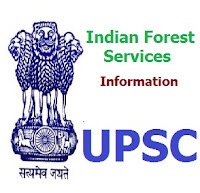 Physical Standards: There are some physical standards as prescribed in the Official notification by UPSC Indian Forest Service Examination. So you have to fit according to those particular standards. It has very detail rules and regulation. So you can refer notification to read more about physical standards. २०१३ वर्षापासून परीक्षांची पद्धत आयोगाकडून बदलण्यात आलेली आहे. त्यामुळे यानंतर भारतीय वन सेवा परीक्षेची पूर्व परीक्षा नागरी सेवेच्या पूर्व परीक्षेतच घेण्यात येणार आहे. मात्र वन सेवेची मुख्य परीक्षा वेगळी असणार आहे. जर उमेदवाराला भारतीय वन सेवा परीक्षा द्यायची असेल तर त्याला भारतीय नागरी सेवा - पूर्व परीक्षा द्यावी लागेल. त्यानुसार मुख्य परीक्षेसाठी पात्र विद्यार्थ्यांची यादी काढण्यात येईल . मुख्य परीक्षेसाठी पात्र झाल्यानंतर विद्यार्थ्याला दोन वैकल्पिक विषयांची निवड करावी लागेल. प्रत्येक विषयाचे दोन पेपर असतील. It should be noted that a candidate is marked out of 1700. The main examination marks and the interview marks are merged together and then an evaluation of candidate’s performance is made. The marks which were obtained in the preliminary exam are ignored. Therefore, a candidate needs to assure that his performance is constantly at its best. 03. Chemistry and Chemical Engg.